In Monday's update, it became apparent that bears were holding the cards, based on the performance of the broad market. Wednesday's update (which was posted late on Tuesday night), concluded that "all roads appear to lead lower." 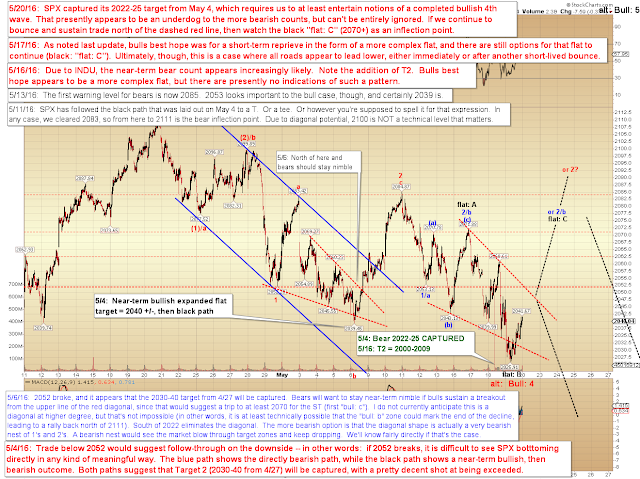 Yesterday, SPX finally captured Target 1 (2022-25 SPX) from May 4. 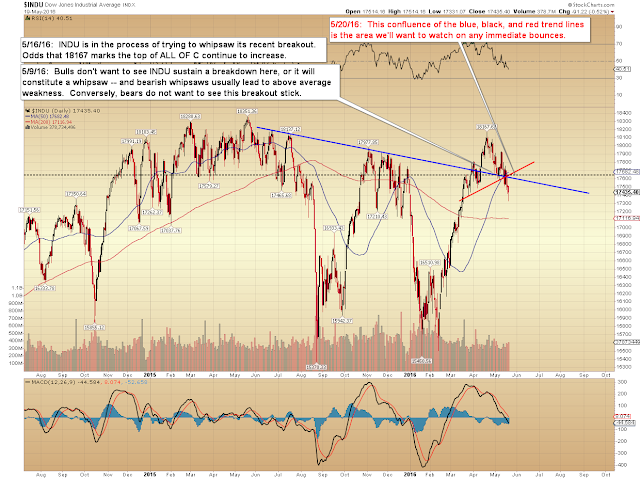 This puts the market into a bit of a gray area for the moment. 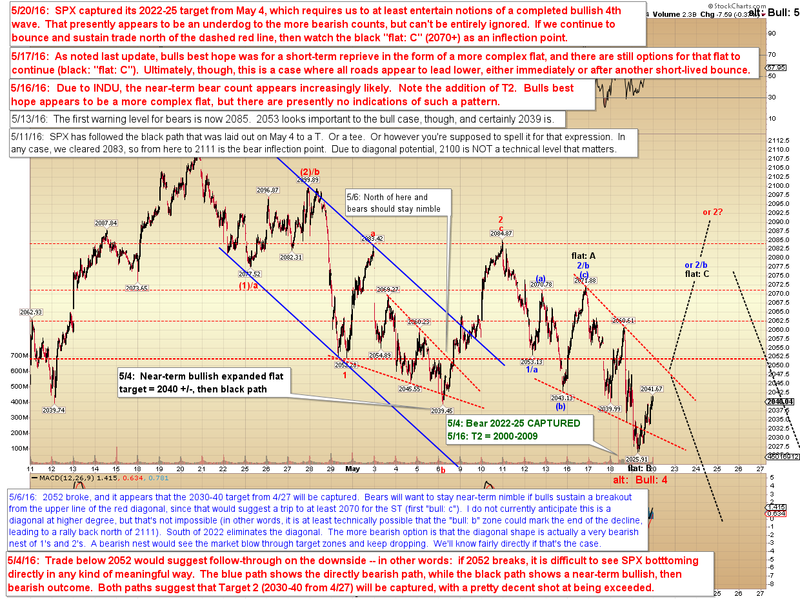 It does not currently appear probable that the entire decline is complete -- however, because SPX captured my May 4 target (which was calculated based on the potential of a bullish 4th wave), we do at least have to stay alert to bullish potential, and realize that the market reserves the right to use that captured target level as a springboard. If I had to pick a count from the myriad options now that my target has been captured, I'd probably lean ever-so-slightly toward the black "flat: C" count shown on the chart below, but I'm far from being married to that outcome. When the market makes things plain to me, like it did on Monday and Tuesday, then I try to convey that clearly -- and likewise, when the market hits an inflection point and/or grows somewhat ambiguous, I try to convey that as well. As Mike McDermott says in the movie Rounders: "Get your money in when you have the best of it; get it out when you don't." It doesn't get any better than capturing targets. The important point is that we have to recognize that the "sure thing" downside target I spoke about earlier in the week has indeed come to pass. Thus, for the moment, we have to take it one step at a time again. Trade safe.